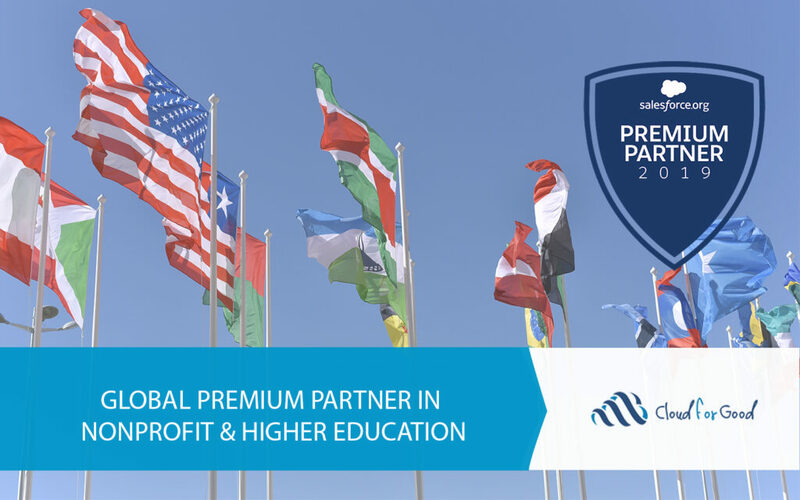 Cloud for Good is a Salesforce.org Premier Partner that works exclusively with nonprofits and educational institutions to create and implement strategic Salesforce solutions. Our solutions include fundraising, mission management, and student relationship management. Throughout the discovery process, our goal will be to obtain as much information as possible about your organization. We will collect information about how are you currently tracking & managing information concerning fundraising, recruitment/admissions processes, how you track and manage constituents, volunteers, events, projects, campaigns, and more. This in-depth overview will help us better understand your organization, needs, business processes, workflows, and reporting. Additionally, it will be important for us to know the benefits and downfalls of your current systems. Overall, this business analysis will serve as our guide for creating a unique Salesforce system catered to your organization’s needs. We will utilize our Salesforce expertise to make careful decisions for creating a design document based on the information we collected about your organization during the analyze process. This will be a data model that will show all fields, record types, workflow rules, etc., and the system in its entirety before it is created. The design document will be a unique blueprint of your organization’s system. It will serve as a valuable tool for both Cloud for Good and your organization, in understanding the structure and layout of your system. In this stage we will tailor the system to your organization’s needs based on the design document. This may include custom fields, objects, VisualForce pages, workflows, integration with other systems, Communities and more. We will focus on ensuring that the solution accommodates the organization’s needs, is “user-friendly”, and is built to evolve with your mission. During the validate stage, your consultant(s) will test your system and give you access to preview the system and make any recommendations for changes to processes and fields within your Salesforce instance. We want you to grow with your Salesforce solution. It is important that we validate the system will meet your current needs, but also want to pay attention to how those needs could change in the upcoming months. We will discuss best practices for migration of data (from an existing system or database) in terms of layout and structure with an administrator and/or key staff. We will then review the data to ensure that it is clean and in the correct format for the import into Salesforce. After completion of the data migration, we will test the system to confirm that the data was transferred correctly. We offer two general training packages. The first is the basic role based package. This covers basic end user functionality determined by the individual user’s role in the organization and in Salesforce. The second is the Advanced Training Package. This is our administration level training. The training can include creating fields, objects, reporting, validation rules, workflows, and more. An individualized training package will be created to cater to your organization’s needs. Your Salesforce platform is live and ready for your organization. Now what? Don’t fear! We offer several ongoing support packages which to assist you with your Salesforce platform (i.e. user maintenance, security model management, analytic support, etc.). Ongoing support services will provide your organization with tools to better understand and manage your technology.